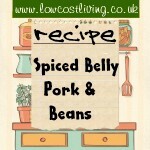 All types of home-made, filling, soup recipes. 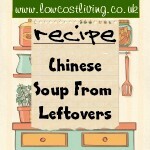 This Chinese Style Chicken & Sweetcorn Soup from Leftovers was made mainly from things many would bin. It was nutritious and tasty, serving 6 people a meal. 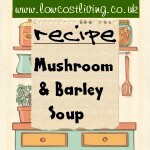 This hearty and filling mushroom and barley soup recipe is very simple and easy to prepare. It's suitable for vegetarians but will appeal to carnivores! One of the cheapest and easiest soups to make. 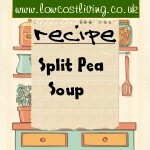 Split pea soup is delicious served with crusty bread on a cold Winter day. 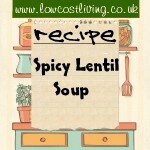 This spicy lentil soup can be made in either a pressure cooker or slow cooker, and is easily bulked out with other root veg for a tasty filling meal. 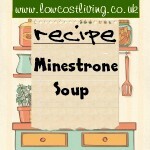 Minestrone Soup that divides into 8 generous portions for supper the others to freeze. Only takes a few minutes in the microwave to defrost and reheat. 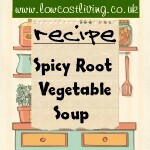 Spicy Root Vegetable Soup is a warmer and filling soup that is great to use up any root vegetables lingering in the store cupboard. This recipe for Courgette Soup lets you use up the Summer glut and store for the cooler months ahead. Great with crusty bread to dunk in it. 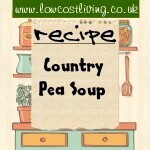 Country-style Pea Soup which is delicious served with a little cream stirred through and warm crusty bread rolls. Recipe for Roasted Pumkin and Red Pepper Soup – Lovely winter warmer with a bit of fresh granary bread. Recipe for Butter Bean Soup – Serves 4 – Hearty and filling, especially if accompanied by some crusty bread.